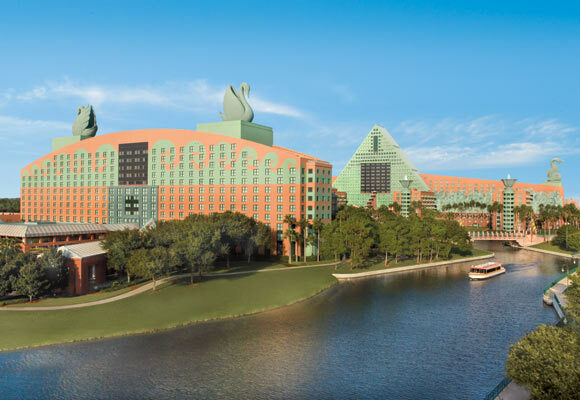 Surrounded by the magic of the Walt Disney World® Resort, the Walt Disney World Swan and Dolphin Resort ensures couples nothing short of a fairytale wedding, honeymoon, or both. You and your guests are sure to create memories that will last a lifetime. Make your fantasy wedding a reality at the Sheraton Vistana Villages Resort Villas, I-Drive/Orlando. Along with romantic venues and breathtaking grounds, we offer custom catering and an experienced staff dedicated to executing your dream. Exchange vows in front of your friends and family while overlooking the lush, tropical grounds of the Sheraton Vistana Villages Resort Villas, I-Drive/Orlando. Along with our indoor Ponce De Leon Room, which can host up to 48 guests, we offer two breathtaking outdoor venues; our beautiful Key West Gazebo can accommodate up to 20 guests and our scenic Key West Pool Deck, which can accommodate up to 100 guests.